Disclosure: I received a finished copy of The Honey Farm on the Hill from Pansing Books, a regional distributor, in exchange for an honest review. This does not affect my opinion of the book or the content of my review. Eighteen years later, Nell is ready for a new beginning. When she sees a honey farm in the same hilltop town has lost its bees, the opportunity is impossible to resist. Welcomed back to Greece by the warm sun and aroma of wild thyme, Nell finds memories of her past at every turn. But much has changed since she's been away. My favourite part, as expected, was the Greek setting. Jo Thomas did a lovely job describing Crete and the mountain the fictional town Vounoplagia was situate on. The Honey Farm on the Hill pulled me right into Nell’s adventures and transported me to the island. It wasn’t hard to imagine the smells, sounds, taste, and weather. That’s what always charms me about summery travel books. Even if I’m rooted at home, they’re worthy escapes. Nell was a very likeable and sympathetic character. I loved the relationship that she shared with her daughter, though she didn’t feature as much as I would’ve liked. In any case, The Honey Farm on the Hill was an entertaining read as Nell’s present and past collided. Her hosts on the farm were wonderfully sweet, and it was a joy learning about their progress to bring back the bees. 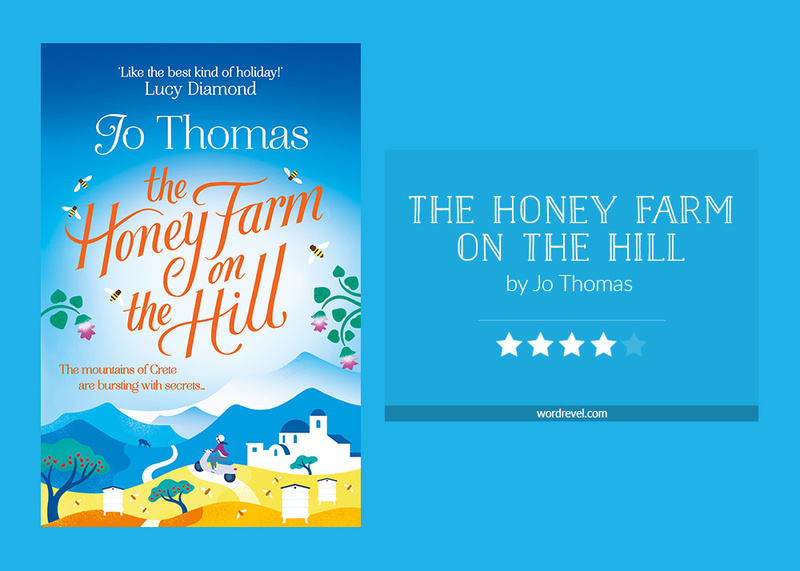 While Nell’s journey of self-discovery wasn’t quite as complex and deep as I had hoped, the atmosphere of The Honey Farm on the Hill made up for it. This book was also filled with a great deal of nostalgia, which is great for readers who seek comfort and escape, if only for a few hours. Thank you for dropping a couple of lines <3 I hope you'll come to like this book too if you decide to pick it up!